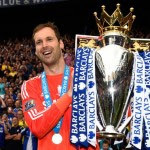 WILL CHELSEA LET PETR CECH JOIN ARSENAL ? According to Sky Sports, the Chelsea goalkeeper is set to join the Gunners once the two clubs agree on a transfer fee. It is believed that any mooted player swap deals are no longer an option with Arsenal set to pay a straight-up fee for Cech, 33, who has been linked with a Stamford Bridge exit for the past few months. Chelsea were hoping to avoid a situation where Cech leaves for a Premier League rival but it appears as though Arsene Wenger’s Arsenal will land the Czech Republic international for a fee believed to be in the region of £14million. Cech is expected to sign for the Gunners in the coming days. Viktor Kolar, interviewed by FCInterNews.it, was asked about Cech replacing Samir Handanovic at Inter. “I have heard so many rumors in recent weeks about a possible landing place for Petr at Inter, but this does not correspond to reality.